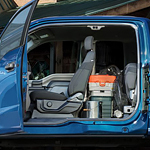 Bob Utter Ford Lincoln is ready to show you the safety features that make the 2019 Ford Transit Connect a unique passenger or cargo van. It was designed with a focus on safety and will be easy to drive throughout Sherman. 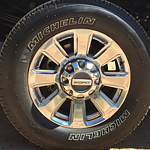 Having the right tire pressure is important for tire wear and for preventing a tire blowout. The Ford Transit Connect has a tire pressure monitor that will alert you if any of your tires are getting too low. You'll be able to promptly address the problem before it causes a dangerous situation. Anyone in Sherman looking for a vehicle with advanced features can check out the Ford EcoSport, one of the SUVs that we have in our inventory at Bob Utter Ford Lincoln. 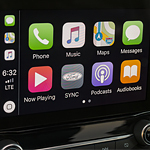 This vehicle has high-tech features that make it enjoyable to drive, and its connectivity makes it easier to get around and stay in-the-know. 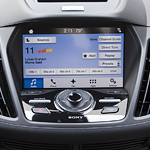 Available on the EcoSport is the SYNC 3 system with Apple CarPlay and Android Auto. With its voice-recognition capability, it allows drivers to keep their hands on the wheel and their eyes on the road. The Ford Ranger is an all-new truck at Bob Utter Ford Lincoln. 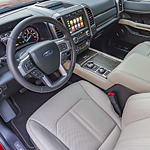 Many of our consumers choose this midsize pickup truck because it provides drivers with a number of benefits that enhance convenience and entertainment. 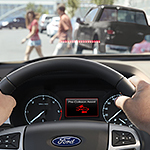 Let's look at a few notable technology features that come equipped with the Ford Ranger. While towing can be a tough task, Ford has made it a bit easier with the new Super Duty. This beloved heavy-duty pickup truck is built with towing in mind. In addition to its strong frame and impressive towing capabilities, the truck is available at Bob Utter Ford Lincoln with some high-tech features that help you out on the job. Who says smart cars can't be fast cars? Certainly not Ford. The all new limited-edition Ford Focus RS goes from zero to 62 in less than five seconds. Yes, you heard right, you can easily navigate Sherman highways in the Focus RS. The Ford Expedition is a full-size SUV that can take you anywhere in Sherman or beyond. At Bob Utter Ford Lincoln, we'd love to show you its main features, which include three roomy rows of seating, an advanced entertainment system, and heavy-duty towing capabilities. A vehicle's interior and all of its features can change the way that you feel about that vehicle and help it be something that you will enjoy driving. The popular compact SUV that is the Escape from Ford provides you with a number of excellent interior features. What Tough Features Come With the Ford F-150? If you are looking for a pickup truck in Sherman, the Ford F-150 is a popular choice at our dealership. At Bob Utter Ford Lincoln, we want our consumers informed about the models in our inventory so that they can make an informed choice. The F-150 comes with tough features that provide drivers with exceptional durability. Let's explore a few below.